Hankering for a nutritious snack? Nuts make a healthy and satisfying choice. Shunned for a while due to their high calorie loads, nuts are now making a comeback. And for very good reasons . . .
- Almonds are a natural source of protein, fiber and healthy fatty acids. In fact, almonds may be the most nutrient-rich tree nut of them all. - Scientific evidence suggests but does not prove that eating 1.5 ounces per day of most nuts, such as almonds, as part of a diet low in saturated fat and cholesterol may reduce the risk of heart disease. 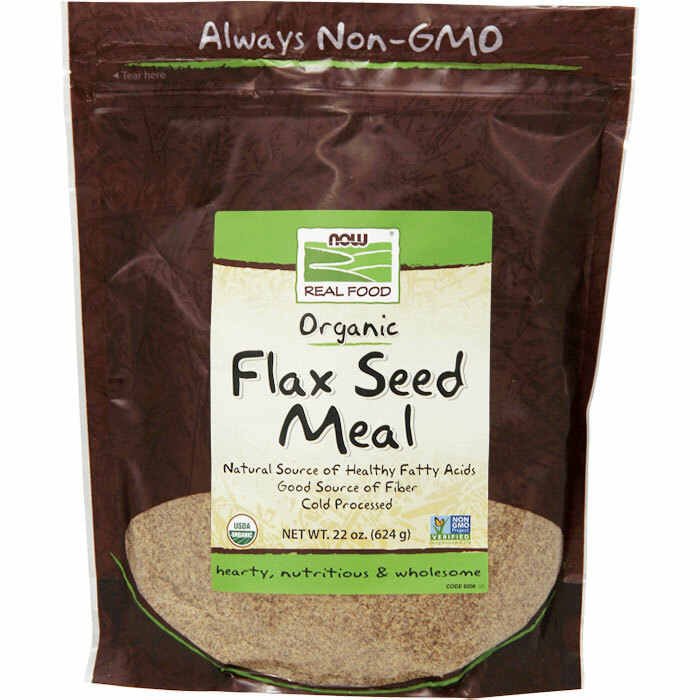 At NOW Real Food we carry a full range of nuts. We carry popular ones like cashews and almonds, as well as less well-known nuts like Brazil nuts and pine nuts. Our organic pine nuts make delicious pesto. Or add them to your favorite bread recipe or salad. 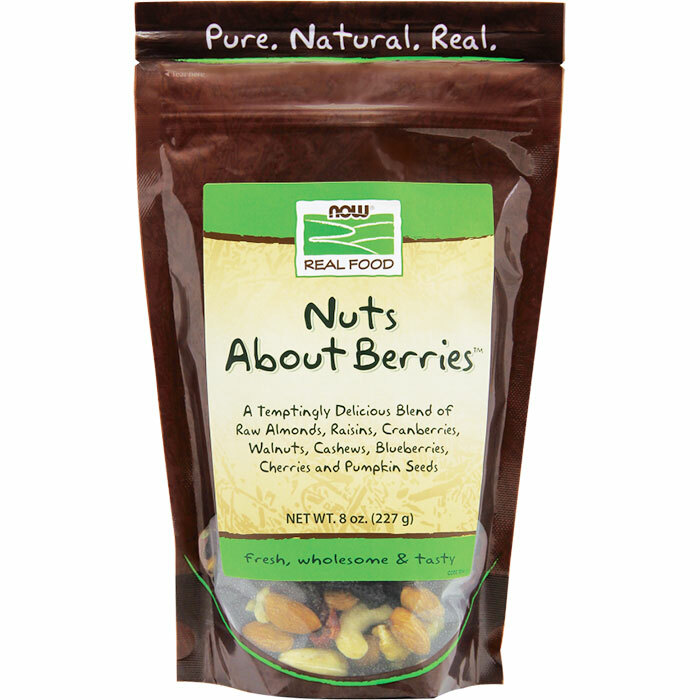 All of our nuts are processed and packaged with our industry-leading commitment to quality. 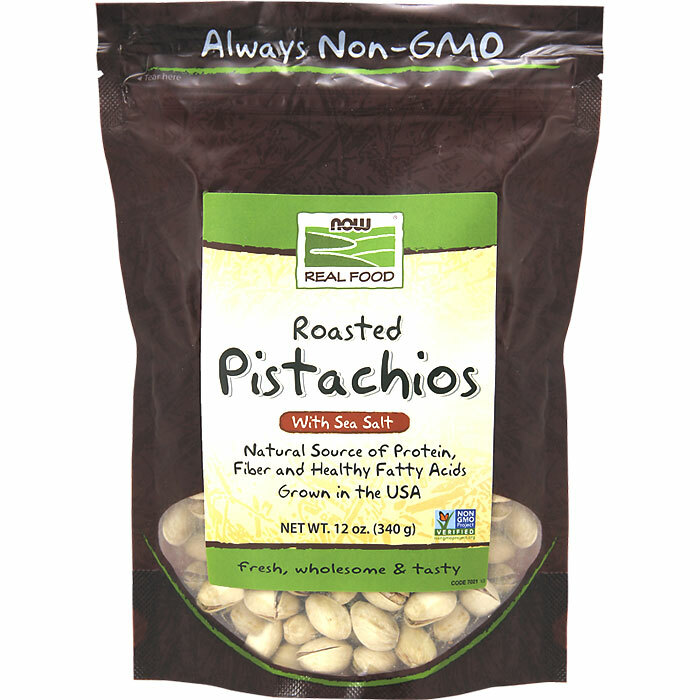 So if you’re looking to buy nuts online to satisfy your snack cravings . . . Check out our full range of nuts now! The goji berry, also known as the wolfberry, has been cherished throughout Asia as one of the most nutrient-rich foods for thousands of years. Several accounts have been documented throughout time heralding the health benefits of the berry. Only recently have Western cultures discovered the remarkable nutritional profile of this tasty little berry. Navitas Naturals Goji Berries grow in the lush, fertile valleys of the Ningxia Province in China. Small purple flowers growing along thorny bushes of the Lycium barbarum plant blossom into delicate small orange-red fruits. When the berries on the vine ripen during the warm summer months, they’re hand harvested and dehydrated at low temperatures for maximum nutrient preservation. 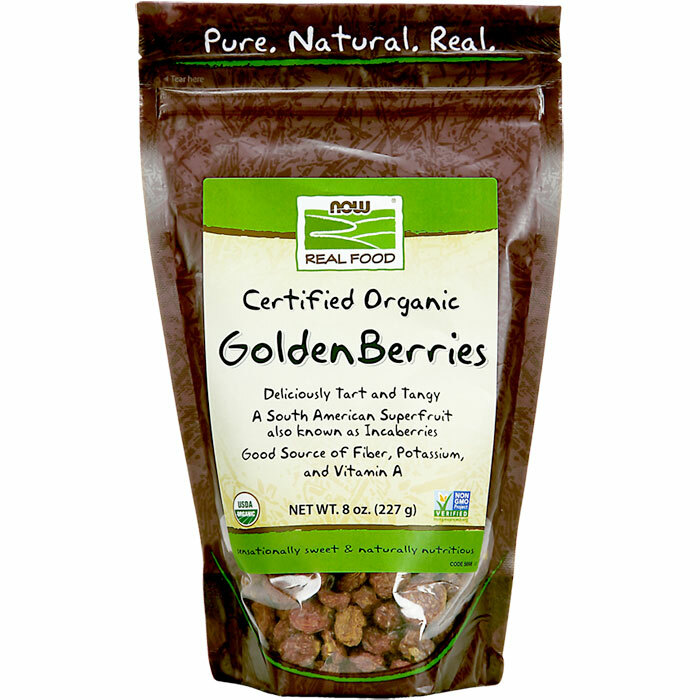 Our goji berries are certified organic, kosher, vegan and raw. Cultures with a long history of traditional goji use prepared a soup or porridge by blending the berries with rice, meat and vegetables. 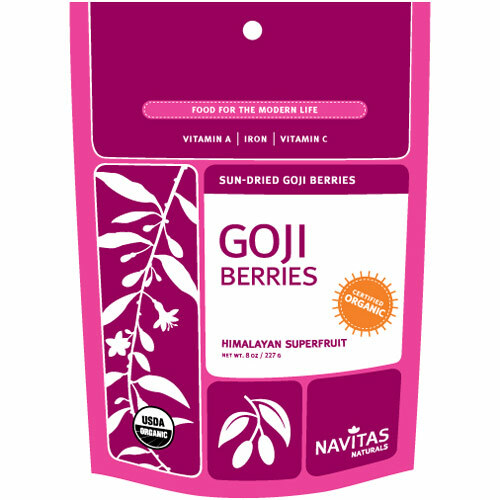 Navitas Naturals Goji Berries have an exceptionally pleasant chewy texture and an outstanding flavor that’s somewhere between a dried cherry, raisin and cranberry – but the taste is uniquely its own. They’re perfect for snacking straight out of the bag, but don’t stop there! Goji berries are also a healthy choice to add into oatmeal, cookies, cereal and trail mix. In Asia, the berries are commonly soaked in water to create a nutritious tea.